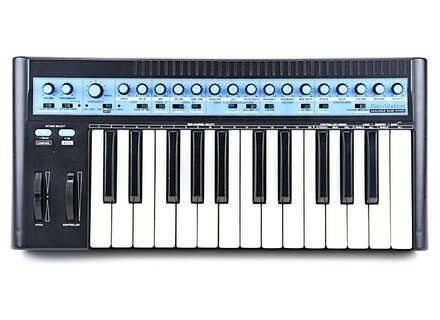 BassStation, Analog Synth from Novation. 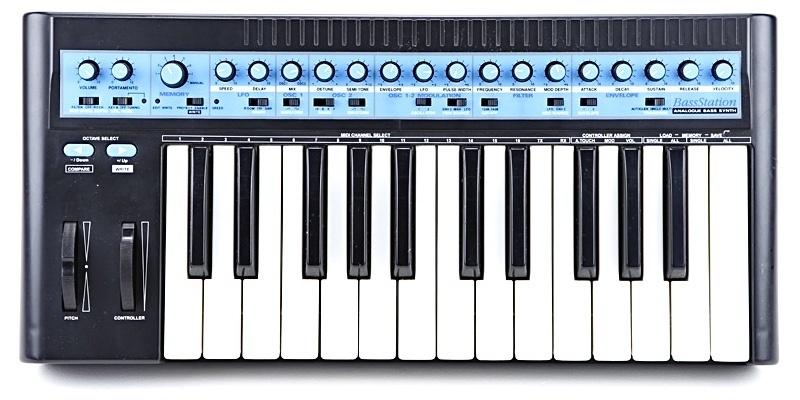 Product replaced by the Novation Bass Station II. All the usual analoge features, 2 envelopes, 1 LFO, PW for both OSC, i have the rack version so some of the controls double up with switches to access which is normal for a modern synth although it is a bit annoying when u forget which mode a dial is in and screw up your 'perfect' envelope. As is a relatively modern synth it would be nice to have more modulation options. Oh and theres no off/on button this really pisses me off! 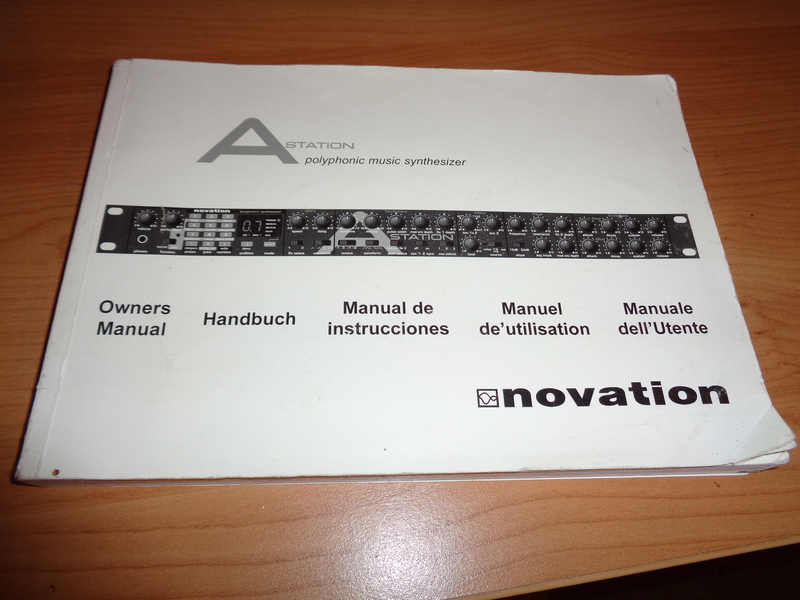 The manual is well written, its a pretty simple synth so i found it straight forward to use. Its dead easy to set up all the midi channels too. It does crash sometimes tho (yes i kno its an analogue synth but the interface is digitally controlled so it can still crash) but not frequenty enough for it to be a serious nusciance. Rack box is sturdy and well built, mine is 5 years old and the only slight issue is that the power supply socket is a little bit loose. 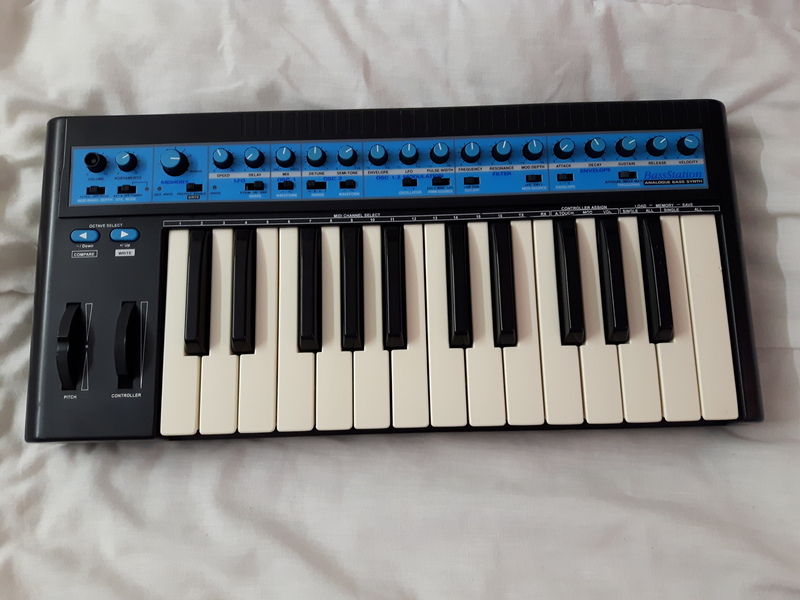 The Bass Station sounds clean and crisp, its a monosynth with 2 oscs so its a bass/lead only synth. with square and saw waves available you can create typical analogue bass sounds, although the sound is richer than most softsynths it lacks the power of vintage analoge monosynths. Some people use bass stations as 303 emulators although the filter sound great at high resonance its still a 24/12 db filter rather than the 303's 18db filter so its not really very convincing. 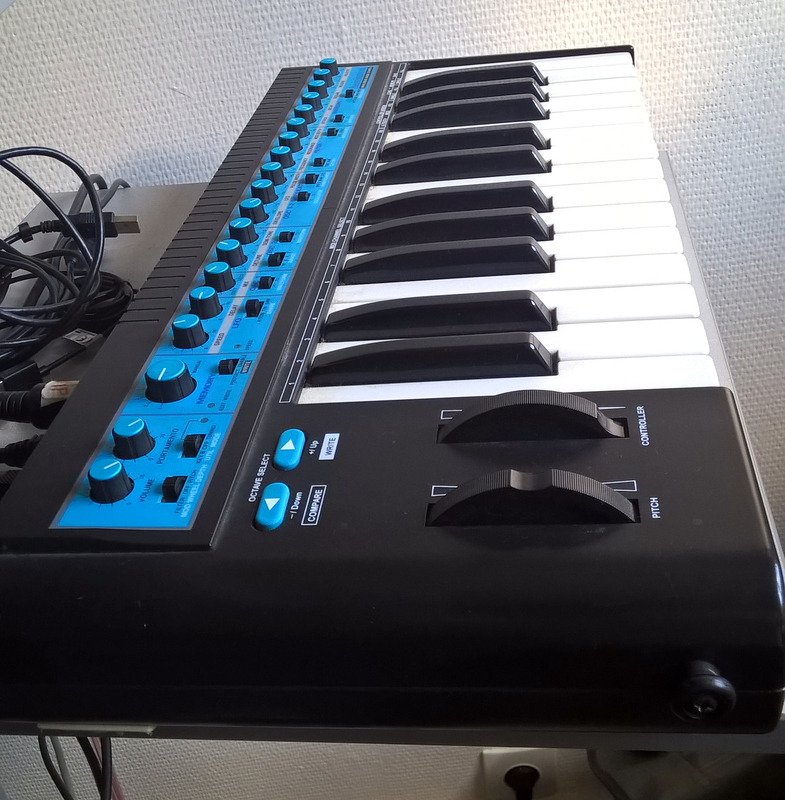 GB_Paris's review (This content has been automatically translated from French)" My fetish"
Monophonic keyboard 2 octave velocity sensitive. Knurling pitch bend and modulation (filter or assignable pitch / tremolo). Volume. Portamento. Octave transposition. 2 oscillators with 2 waveforms (sawtooth, rectangle). Osc1/osc2 mix. Detune, semitone, octave osc2. Modulation Oscillator envelope, LFO and PWM. Switchable resonant filter 12db/24db modulated by lfo and envelope. 1 ADSR envelope amplitude ADSR envelope filter 1. 1 3 LFO waveforms with time. It was my first analog. And everything is simple, accessible directly via potentiometer or switch. 100% electronic sounds. I love it. We have a wide range, low course, leads, and even the Pad / strings if we bypass the mono by cutting the agreement note for note, track by track. No sync, no white noise, no ring mod. So some sounds can not be produced. But we can already do a lot. This is not as powerful as a bold and probably Moog (I never had any vintage). It is perfect for what I like to do as his. I think it sounds rather soft, round (without the thickness of a vintage as some say). A bit of chorus, delay, and it holds the road perfectly! I use it since its release. 18 years, always perfect (I'm careful). At the time of its release and at this price, there was not much competition (the 90's being rather the digital age). So not tried other models. Not tried vintage either. Pros: price / quality ratio, sounds, ergonomics, time on the LFO. The -: no sync (available on the VST version on the other hand), no white noise. sending sysex / 16 midi channels etc. ..
env / lfo depth / pulse width. I use it more for the sounds of good leads and some synthetic low.